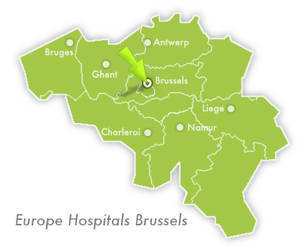 The Brussels Europe Hospitals are the largest group of private clinics in Brussels. 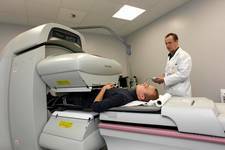 An experienced multidisciplinary team combined with modern state-of-the-art medical equipment ensure fast and accurate diagnosis and optimal care for each patient. We offer procedures covering most of the known pathologies for one-day treatments as well as for longer stays. International patients are welcome in our multilingual care facilities. VIP accommodation is possible within the hospitals. 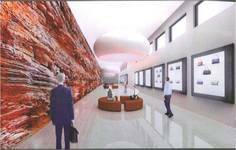 Several innovative developments have occurred at the Bariatric Surgery Centre. Robot-assisted surgery is undeniably revolutionising operating theatres. As the first in Brussels to acquire the Da Vinci robotic system HDSi, the Europe Hospitals offer some of the most cutting-edge technology available. This high-definition model for robot-assisted surgery is the very latest version and provides the ultimate in visual quality. Surgeons are able to perform the most complex and delicate procedures through very small incisions with unmatched precision. For example: radical prostatectomy for prostate cancer, nephrectomy and genital prolaps. This high-performance and innovative system has been developed for use in urological, vascular, gynaecological, abdominal and cardiac surgery. Robotic cardiac surgery is dedicated to mitral valve repair, heart failure treatment and coronary surgery. With an experience of more than a decade in that field, the cardiac team offers this procedure routinely especially for heart failure and beating heart coronary artery bypass surgery. The state-of-the-art Radiology Department offers 1.5-T MRI, digital mammography, twin tube, low dose, multidetector row computer tomography (including virtual colonoscopy, CT coronarography and fluoscopically guided punctions and spectral imaging), interventional angiography, ultrasound and both computed and direct radiography (CR and DR). 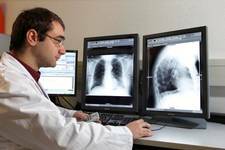 The Exhaustive Health Assessment Unit is based on the latest advance in medicine. It is a Unit for prevention by identifying and reducing disease risk factors and improving the quality of life. By Car: 20 minutes from Brussels National Airport, and from Brussels South Railway Station. Public transport takes you easily to our hospitals. Our services are spread over 3 campuses: two of them are located in the south part of Brussels, in a green environment; one is in the heart of Brussels, close to the European institutions.